State superintendent Glenda Ritz and members of the State Board of Education focused on turnaround efforts during their monthly meeting in December. The end of the calendar year means some clarity for the state’s failing schools as to how they’ll move forward with turnaround efforts. At their meeting Wednesday, the State Board of Education heard recommendations from an outside consultant as well as the board’s three-person committee on School Turnaround. Approve the “transformation zone” – allowing the school corporation in question to develop its own turnaround plan to operate under varying degrees of state oversight – as a primary turnaround strategy. Such a model is currently working well in the Evansville-Vanderburgh school district, and it’s been recommended as an option for Indianapolis Public Schools as well. Eliminate the “Lead Partner” model. Under this option, an external partner contracted by the state works with a district in a limited capacity to operate certain aspects of the school. To date, all original Lead Partners have withdrawn from the turnaround academies they operated. Allow the state board the ability to assume management over failing school corporations as a last resort. Modify the current statute to allow for earlier state intervention in failing districts and schools. The method for doing so would mean a big change to existing rules – namely, allowing the board to implement turnaround strategies for schools that receive a D as well as an F, and move the intervention timeline up to assist schools after they’ve received four consecutive F’s, instead of the current six. Establish a board-specific turnaround unit to manage state intervention activities. The last point proved the most controversial, bringing arguments the board has been having for months over authority to a head. 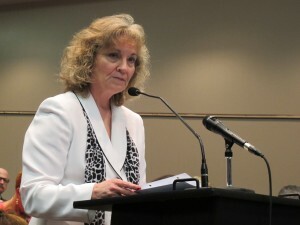 Board members got into a heated exchange with the Superintendent, who said she saw the recommendation as an attempt by the board to become Indiana’s primary education agency – which she argued is the responsibility of her department. Board member Cari Whicker spoke up to quash that idea. 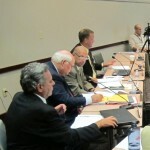 Once discussion died down, the board eventually voted to approve the committee’s recommendations. According to representatives from the Center for Education and Career Innovation, the complete slate of ideas will be shared with the general assembly and the governor for consideration. The board also voted to approve recommendations the committee presented for a few specific schools currently operating independently under external partners known as Turnaround School Operators (TSOs). The board extended a contract for Charter Schools USA to continue operating three IPS schools – Emma Donnan, Emmerich Manual and Carr Howe – for two more years. IPS will also regain control of Arlington High School, whose current TSO plans to drop out at the end of the school year. IPS leaders, in conjunction with Indianapolis Mayor Greg Ballard’s office, will submit a plan by February to make the school part of a new Transformation Zone along with the district’s three other failing high schools – Washington, John Marshall and Broad Ripple. The board also formally approved Evansville’s Transformation Zone as the state intervention method for Glenwood Leadership Academy, as well as delaying turnaround contracts for two schools in Gary until the community’s school corporation can propose a plan in January.